John Adams is a familiar figure to early American historians. His public service before, during, and after the Revolution has received considerable attention over the years, and quite rightly so. But there are gaps in Adams-related scholarship. Perhaps most prominently, Adams’s legal career prior to the American Revolution has been heretofore underappreciated. From 1758 until his appointment to the Continental Congress, in 1774, Adams was an attorney and barrister. He practiced in the courts of Massachusetts. My research examines Adams’s legal career in detail, particularly his professional and intellectual development between 1758 and 1774. I start from the premise that Adams’s knowledge and understanding of the law related to, and indeed influenced, his political ideology. [T]he Boston of 1770 was not the Boston of 1974 or even the Boston of 1690. The politics that divided competing parties was to0 a large extent a politics that turned on legal issues and was debated before legal institutions, and the historian who contends that he can define where politics ended and law began is naive indeed. Other scholars have also stressed that law was intertwined with politics, society, and everyday life in colonial Massachusetts. What does this mean in relation to John Adams, then? 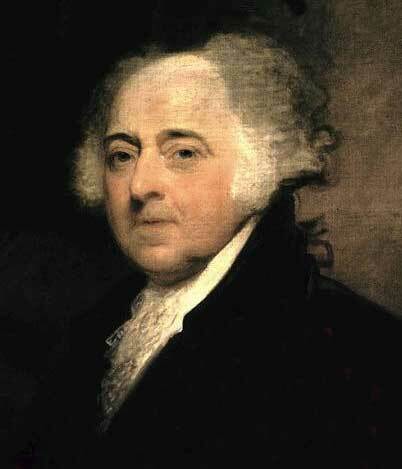 My research contends that to fully understand John Adams The Politician, we need to understand John Adams The Lawyer. Adams’s path to the bar began in August 1756 with Worcester attorney James Putnam, who agreed to tutor Adams in the law. “Yesterday I compleated a Contract with Mr. Putnam, to study Law under his Inspection for two years,” Adams recorded in his diary on August 22, 1756. Putnam’s fee for two years’ training was, Adams remembered, “an hundred dollars, when I should find it convenient.” There were no law schools in colonial Massachusetts. Nor was there any formal system for training lawyers. Prospective lawyers like Adams trained with established practitioners, reading what law texts they had, writing court documents, and attending court with their tutor until they were sufficiently versed in the law. This was the method by which the Massachusetts bar was trained during Adams’s time. Adams would go on to train at least ten students himself (not forgetting his three sons, who also trained in law) once his own practice was well established, with three working as law clerks in his office at any one time between 1769 and 1774. After completing his studies under Putnam, Adams returned his home in Braintree. He soon set up his own practice. After meeting with several established members of the bar in Boston, and convincing leading attorney Jeremiah Gridley of his fitness to practice, John Adams was admitted as an attorney in the Inferior Court on November 5, 1758. There was no bar exam or formal process of admittance in Adams’s time, Gridley merely informed the bench “he [Adams] was with me the other day several Hours, and I take it he is qualified to study the Law by his scholarship and that he has made a very considerable, a very great Proficiency in the Principles of the Law, and therefore that the Clients Interest may be safely intrusted in his Hands,” thereafter the Clerk swore Adams in. Once he was sworn in, “I shook Hands with the Bar, and received their Congratulations, and invited them over to Stones to drink some Punch,” he recorded in his diary the next day. Adams spent the next three years plying his trade before the Suffolk Inferior Court before he was admitted as an attorney in the Superior Court in late 1761. The following year, at the August term of the Superior Court, Adams, along with other Superior Court attorneys, was elevated to the new rank of barrister at the Superior Court. As a barrister, Adams travelled with the court circuit to the various Superior Court terms around Massachusetts. The court circuit Adams rode took him away from home for sometimes weeks at a time, and the distances travelled on horseback were significant. The circuit travelled as far south as Barnstable and Dukes County—some seventy miles from Boston. To the west, the court travelled fifty miles to Worcester. The eastern circuit took Adams north to the courts of Cumberland, Lincoln, and York Counties, a round trip of more than two hundred miles. Part of my research will be to recover the some of the details of these travels on the circuit. Who did Adams represent? Who did he work with and against in court? The cases Adams took in Boston and on the circuit were varied. They included civil disputes over land, deeds, contracts, wills, and even divorce cases. His criminal matters were equally varied; they included assault, smuggling, and murder, including the trials that were brought after the Boston Massacre. Although John Adams the lawyer is best remembered for his involvement in the Boston Massacre trials, it was more mundane matters which made up the bulk of Adams’s practice with actions for debt recovery accounting for around half of his cases. In my research I will examine the surviving file papers, record books, and docket books that survive from Adams’s career, in addition to Wroth and Zobel’s work in Adams’s Legal Papers. This will give a more complete picture of the work Adams undertook. Most important, my research will reveal how Adams’s knowledge and understanding of the law evolved over his career. It will shed light on not just his lawyerly life before the Revolution. It will allow us to better understand Adams’s political and constitutional ideology—and, by extension, how his interpretation of the law influenced and shaped the direction of early U.S. history. Adams’s legal work continued intermittently until his appointment to France, in 1777, but his full-time career as a lawyer effectively ended with his appointment to the Continental Congress. John Phillip Reid, “A Lawyer Acquitted: John Adams and the Boston Massacre Trials,” The American Journal of Legal History 18, no. 3 (1974): 189-207, quote on p. 190. Gerard W. Gawalt, The Promise of Power the Emergence of the Legal Profession in Massachusetts, 1760–1840 (Westport: Greenwood Press, 1979); William Edward Nelson, Americanization of the Common Law the Impact of Legal Change on Massachusetts Society, 1760–1830 (Cambridge: Harvard University Press, 1975). Diary and Autobiography of John Adams, 4 vols., eds. L. H. Butterfield, Leonard C. Faber, and Wendell D. Garett (Cambridge: Belknap Press of Harvard University Press, 1961), 1: 42. Legal Papers of John Adams, 3 vols., eds. L. Kinvin Wroth and Hiller B. Zobel (Cambridge: Belknap Press of Harvard University Press, 1965), 1: lxxxi–lxxxiii. Diary and Autobiography of John Adams, 1: 58. Adams recalls this event in his autobiography: “About this time, the Project was conceived, I suppose by the Chief Justice Mr. Hutchinson, of cloathing the Judges and Lawyers with Robes. Mr. Quincy and I were directed to prepare our Gowns and Bands and Tye Wiggs, and were admitted Barristers having practiced three Years at the Inferiour Courts, according to one of our new Rules.” Ibid., 3: 276. Rex v. Preston and Rex v. Wemms et. al, Legal Papers of John Adams, vol. 3, passim; Hiller B. Zobel, The Boston Massacre (New York: Norton, 1970). Sounds like fascinating research – I wish you well and hope that some day a book emerges. The study and practice of law cannot help but shape opinions on politics and it will be interesting to see what emerges. Thanks Alec. I’m certainly curious to see just how Adams’s law career impacted his political one. We’ll have to see what transpires! Richard D. Brown’s _Knowledge is Power: The Diffusion of Information in Early America, 1700-1865_ contains a highly informative chapter on the early legal careers of John Adams and Robert Treat Paine. There’s also Stephen T. Reily’s essay “Robert Treat Paine and John Adams: a Colonial Rivalry” which is excellent. The Adams/Paine relationship is an interesting one as they seemed to work together sporadically for years both as lawyers and at the Continental Congress without ever really being friends before falling out over judicial appointments. I am planning to make Adams’s self-identification as a lawyer and a man of law central to my concise biography-in-progress, now titled THE EDUCATION OF JOHN ADAMS. You should look at all of the stuff by John Phillip Reid, because I’ve found that reading and studying Reid helps open an entryway into Adams’s thinking as well. Yes, Adams is probably the best-documented lawyer of the era, and yes, that may mean that Reid’s digging into the legal history of the origins of the Revolution might be Adams-flavored, but at the same time JPR has studied and explored more sources of all kinds than anyone else, including John Adams himself. Adams also scattered legal ruminations and even the draft of a pleading through the pages of his diary. Very nice Post, Thank you for sharing with us.